1. Avoid the Blind Men and the Elephant Syndrome. Everyone has an opinion on basically everything. The temperature of the room is too hot or too cold or somewhere in between. The music is too loud, too quiet or just right. If your opinion becomes the Goldilocks standard of “just right,” then everyone else’s thoughts become either Mamma Bear or Papa Bear. “Just right” for you is usually not “just right” for someone else. In the fable of the blind men and the elephant, the men have very different opinions on what an elephant is. 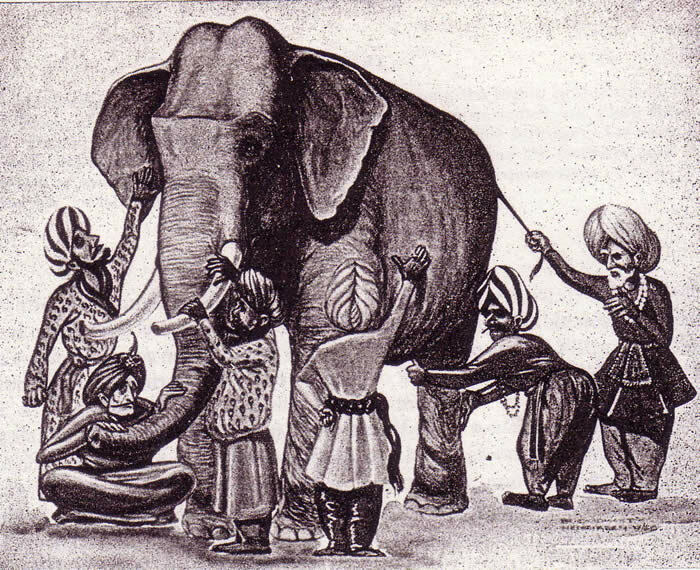 The one holding the tail believed an elephant is like a snake. The one touching the elephant’s leg thought it’s like a tree. The one with the tusk thought the elephant was like a plough. The one with the ear thought it was like a basket. And, so goes the fable. When it comes to groups, everyone has different expectations of the group and of the studies they take on. Some want a group for connection. Others want a group for support. Some want deep Bible study. While others want action: outreach, ministry, parties or worship. Some long for that great group they were a part of in another church 10 years ago. While no group can be all things to all people, a conversation about expectations can go a long way in avoiding disappointment with the group. 2. What Do the Group Members Want? The key to creating a group members actually want is to ask the group members what they want to see in a group. Don’t assume that everyone wants the same thing. This is the beauty of small groups – there is flexibility in each group to uniquely serve its members. What is your church communicating about small groups? The communication sets the expectation. Do your groups offer community built around a Bible study? Are they fellowship groups without a Bible study? Are they Bible study groups first, then everything else later? Are your groups sharing life or just sharing information? When people are invited to form groups, the message from the church sets the tone. Avoid trigger words like “deeper.” The study or group will take you deeper relative to what? This creates a very unmanageable expectation, and you’ll soon find yourself deep in something else. A simple exercise can quickly make the group aware of its expectations. Have each group member write their top 5 expectations on a piece of paper and turn it in anonymously. These expectations can arrange from having a weekly worship time to healthy refreshments to serving the poor. After the leader has collected everyone’s Top 5, compile the list for the next meeting. List each item, but don’t tally the number of votes for each just yet. Give the list to your group members at the next meeting. Have them circle the Top 3 values from the list, then collect their sheets. From this new data, the leader should clearly see the group’s interests. At the next meeting, have a conversation about the results. Then, create your group’s core values around the Top 5 values indicated by all of the group members. The group’s core values should become part of your group agreement. While lesser values may come into play, the group will focus on the Top 5 and then re-evaluate periodically. Decisions made for the group create resentment. Decisions made together create community. The first point is something I have been really struggling with! Thanks for sharing & encouraging the clarifying of expectations. Thank you!